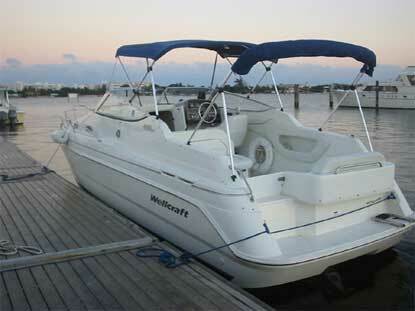 Chicago Marine Canvas sells tailor made Wellcraft boat canvas and vessel covers for all Wellcraft makes or models. Wellcraft sells some of the best yachts in the world and every proud owner should possess a gorgeous marine cover to protect it! Just like Wellcraft does, we are using Sunbrella Marine Canvas but do also use stronger marine fabric for example Stamoid which is entirely water resistant and a superb material for boat tops. The life expectancy of a factory top is usually roughly 8-10 years, after which it will start to demonstrate its age, but many owners like to order changes to their enclosure design before their current one deteriorates. 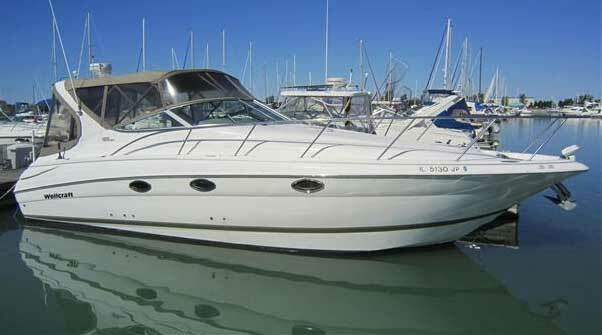 It could be that the purchase of your yacht included an aft top however now you would like a full top? Or it could be that it has a full cover but you fancy a mooring canvas to be able to rapidely take it on and off? Virtually all factory canvas come with a blend of canvas and eisenglass but in case you wish increased visibility, an all eisenglass cover will answer your needs. When it comes to custom-made top for your yacht, there are countless possibilities. Upon contacting Chicago Marine Canvas, we will inquire about the needs you have for your enclosure and determine the correct water craft cover solution for you. Following the exchange we will have regarding your boat and top requirements, we’ll come see your boat to examine the project details as well as take digital measurements of your yacht, the initial phase in generating a 3D illustration of the design. We will develop your enclosure with the help of a CAD (Computer-Aided Design) program , this program makes it very simple to make adjustments for windows, notches, zippers as well as fasteners. This CAD computer application also accounts for textile relaxation as well as a great number of details that would otherwise take days to put together manually. The fruit of which is always a boat enclosure that is a flawless fit. Our promise is to produce such results within the agreed upon time line and on budget.